They are the same people referred as the two banners of Isaiah 11:10-12, the two olive branches of Zechariah 4:11-14 and the two harvesters of Revelations 14:14-17. 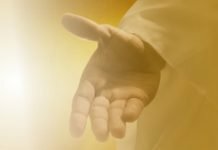 Let us continue this series of articles that we have prepared about the promise of the Lord concerning my vindication. 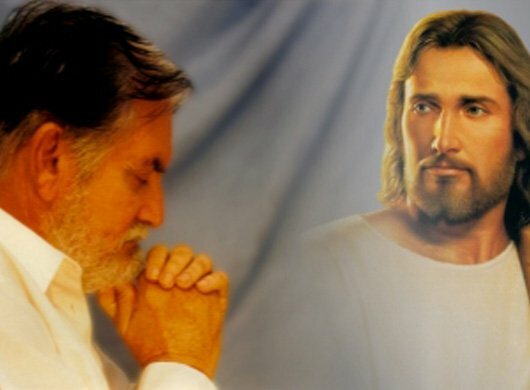 The Scriptures are about the history of Jesus: the prefigured Jesus of the Old Testament through the rites and ceremonies, and the historical Jesus who completes or fulfills the prophecy of the Old Testament. Jesus is who gives true meaning to the Scriptures. Therefore, that history which is written on both testaments was previously inspired so it could be written and preserved to our days. However, there is a task in Revelations 10 about the angel or messenger who will carry out this mission. As you may recall, in our past article we analyzed Revelations 10 and we clearly saw that the execution of this task described by John in this chapter, was not carried out by John himself for he was only the one who received the revelation and wrote it down in Scriptures, in the book he was commanded to write, that is, the Book of Revelations. John writes it down but it is at the end time when God’s order to preach again (on regards to the little book, which is the final revelation) takes place. 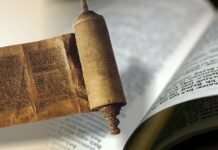 Notice that the small scroll or book of (Revelations 10:8) is a book that it is not apart from the Scriptures, for all of God’s revelation is contained in the Inspired Word. However, it can also be considered separated for it is the last revealing content—it is in this sense that we can say it is apart of the rest of the Scriptures. That is, there is a final, emphatic theological preaching that constitutes another series of doctrines that will culminate what the Bible presents. Revelations is the last book of the Scriptures, but Revelations has been veiled. Even biblical scholars admit that it has been partly veiled, and for this reason it hasn’t been fully understood. To John it is told: “Seal up the words of the book”. It is like saying the same words that were told to Daniel: “Seal the book until the time of the end”; “do not worry to understand it in detail for you are not carry it out”. We must then understand that John writes these things and receives the content of the little scroll as a representative of the last of the prophets (the prophetic call of this end time which will complete God’s work for Christ’s to come). Therefore we must understand that John writes these things and carries them out. The taking of the little book is a representation of the final prophetic call, the prophetic call for this period of time when we are about to complete God’s work prior to Christ Second Coming. However, before Christ’s return there is a post-figurative work that the Lord has told me I will carry out and, as a basic sign, which is fundamental to the fact, is this Vindication that I have been talking about. I am going to complete this work; in order to achieve this I will be constituted as a sign, a post-figure of Christ—that is, I’m going to be vindicated, restored to an age of approximately 25 to 30 years old. This has been His promise and He has told me to preach about this and it is necessary for me to announce it beforehand so when things are fulfilled, then, we may recall that these words were said before things occurred. I will once again say: “Do not believe in me but be aware of the facts for this is the only thing that matters in this case”. This is my call to the people of Puerto Rico and the world. I am not asking you to blindly believe in me but to wait patiently for if it happens that nothing occurs you will have not lost anything, but if it happens and you are found a biased enemy of this ministry, of this servant of yours, then you will be in deep trouble. “But leave out the court which is outside the temple, and do not measure it, for it has been given to the Gentiles. They are the two olive trees in a figurative sense. Pay attention to this: Evidently you cannot take away Christ as the cultivated olive tree. You just can’t count him out from this symbolism as many so-call Christian ideologies tend to do when saying that the two witnesses (olive trees) are Elijah and Moses. The fact is that Christ is the cultivated olive tree; Christ is the light of the world. Pay attention to these words: the two witnesses constitute two olive trees; and the two lampstands are a representation of two men, which are stand before God’s altar and perspective. In addition, notice that this biblical passage makes a reference to God, for the Lord of the whole earth is God as it is proven in this context. Now, let us continue reading about the two witnesses. The book of Revelations is highly symbolic. If we are to interpret properly the words written in this passage we must admit that when it says, “so that no rain falls in the days of their prophecy” it doesn’t mean that it will literally stop raining for rain itself cannot stop the preaching. To give you an example, if there’s a heavy rain while I’m preaching, that rain will not stop my preaching. So, these words cannot be understood in its literal form in a way that not a single drop of water will fall from the sky. The expression “no rain falls” connotes the equivalent of saying “holding the four winds of the earth in the days of their preaching, and that after they prophesy or give testimony, then they will unleash the waters which are a symbol of judgment. Wasn’t that the case when the ancient world was destroyed by the Flood? Right? In other words, they have great authority. This authority is always given by God, and it is granted to them so in the days of their preaching no rain falls—which means that no worldwide catastrophic event will take place during that period of time so they can complete their mission of about 3 ½ years. Time in Scriptures is not chronometrical and I say this over and over, and in addition, those who have insisted to place a date have always ended up disappointed. Therefore, times, are in reality approximations, which means that events can occur before or after a given period of time for they depend on the circumstances. We should pay more attention to the facts or events, not to specific dates. This is what really counts. An event may occur anytime. When did the beast kill Moses? 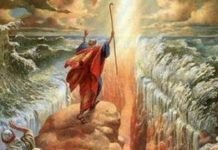 Moses had a natural death: When did the beast kill Elijah? Elijah was taken up by a chariot of fire. Can you now see that they could not be the two witnesses? It is impossible for them to be so. Besides, the two witnesses will be killed on earth, and they will stand again on their feet —one of them was Christ. Christ completed his mission of placing the only foundation for salvation, his righteousness. Christ was humiliated but rose up again—the breath of life entered Him and rose up from the dead. These passages are not saying that these two witnesses would be in action at the same period of time—This is imperative for you to know. One constitutes the first woe and the other constitutes the second woe. We will speak of these things a bit further. Can you see? Now, which one is it, Sodom or Egypt? Neither. It means the whole earth. Sodom and Egypt are a representation of the earth. This is how these passages should be interpreted. Avoid standing in the same standpoint as the Seventh-day Adventists who say that it was in France where the Bible was buried, for in the first place the Bible is not the point in these passages. The Bible or the Two Testaments are mentioned in these passages but without an interpreter they constitute inert matter. For every biblical reading there must be an interpreter. Without an interpreter there is huge confusion. Therefore, let’s go to the real facts: These passages are speaking of two men—and they are neither Elijah nor Moses—and that’s for sure. Now, Pay attention to the following words’ “which spiritually is called Sodom and Egypt, where also our Lord was crucified” (Revelations 11:8). In about 99% of times when we see the word Lord in Revelations it is making reference to God the Father, not to Christ himself. That is why when you read about the throne on Revelations 21 it says, “the throne of God and the Lamb” You must understand that in Christ there is a convergences, a double nature; His divine nature which makes him a legitimate representative of God and beyond that, it is what makes of Him God, as written, “In the beginning was the Word, and the Word was with God, and the Word was God” (John 1:1).—and His human nature. Thus this convergence of nature’s sheds light to the definition of the term Lord, which means God, the Father, and that the God of the two witnesses is the Father, and this fact does not discard or deny the human nature of Christ who is one of the two witnesses. So, why aren’t we sincere enough with ourselves and accept that this is an interpretation that has been given to me, revealed to me by the Lord Jesus himself? It is clearly understood that they tormented the inhabitants of the Earth, by the preaching of the truth. This is clearly understood. This is the reason why the people of the earth in those days were satisfied when Christ died, and thought “we got rid of him” for there is no worst torture than having to hear a man who in the name of God sets the truth and denounces them: To set the truth means to put on the spotlight the vast majority of the human race, which results many times in slandering and personal attacks against the true Christian. The rest of the population becomes jealous of the one who has understood the truth of God and resent him. As it is written in the Scriptures “all who desire to live godly in Christ Jesus will suffer persecution”, will receive the knocker of the world and the ignominy by part of men. Notice that this event does not occur simultaneously but in different times in history: Christ already rose from the dead and ascended to heaven; now it is my turn as a post-figure of Christ as He has declared unto me. The sequence of events of what Christ has told me can be summarized the following way: I am to be taken up soon—I don’t know of any date or time —but he told me “in any moment” and “prepare a proper background for your departure”. I will ascend, I will be vindicated and I will come down from heaven with the message of the final revelation, fulfilling this way the prophecy of Revelations 18:1; After these things I saw another angel coming down from heaven, having great authority, and the earth was illuminated with his glory” (Revelations 18:1), which will also occur at the end of times. The message of this angel is highlighted here: “Babylon the great is fallen, is fallen, and has become a dwelling place of demons, a prison for every foul spirit, and a cage for every unclean and hated bird!” There is no one around the world that is carrying out this task but, this servant of yours. Who is preaching the truth, the eternal gospel, and doctrines which are in total harmony with the Eternal Gospel, and at the same time denouncing Babylon and its theological confusion? You may request the writings —which I have— of the message I have been preaching for the past 12 years which has to do with the uncovering and refuting of Babylon which is the shelter of every unclean and hateful spirit. The fallen angels are lurking every charismatic church, which are the unclean and hateful birds that brings confusion to the world. Those congregations do not know what the Gospel is no future hope, peace and love is ever preached for they only preach personal experiences and subjectivism. I will ascend to heaven and will receive the revelation or “eat the little book”. The fact is that this process begins here; that is, I begin to eat the little book here on earth. I have been uncovering and refuting Babylon for about 12 years—this is the message preached by the angel who comes down from heaven of Revelations 18:1. I have been denouncing Babylon on TV and radio in Puerto Rico (14 years in radio, and 2 years on TV) and we will continue to do so until the Lord as He did with Elijah and as He did with Moses, and as He has done so with many others like Paul who was also taken up to heaven (2 Corinthians 12:2). I will be going through a similar experience. Of course, when I come down from heaven, I will do so with the last warning message from God to a world in chaos. The content of this message is the same as that of the little book that was given to John with the last revelation regarding the things that are to happen prior to the Second Coming of Christ. This will be a judicial mission, a preamble to the Judgment Day or the final verdict the Lord will bring. When the Lord comes He will separate the sheep from the goats, He will come with the final verdict. This is a preparation for the harvesting of the redeemed as declared on Revelations 14. Why did they feel great terror? Because they accursed them, they put them into shame, they killed them and then great fear overtake the unbeliever; that is how it will now happen with me this servant of yours. The third woe will happen with the Second Coming of Christ. The first woe already took place with Christ first coming to earth, the second woe will take place with me, and the third woe will take place when Christ comes to harvest the earth.